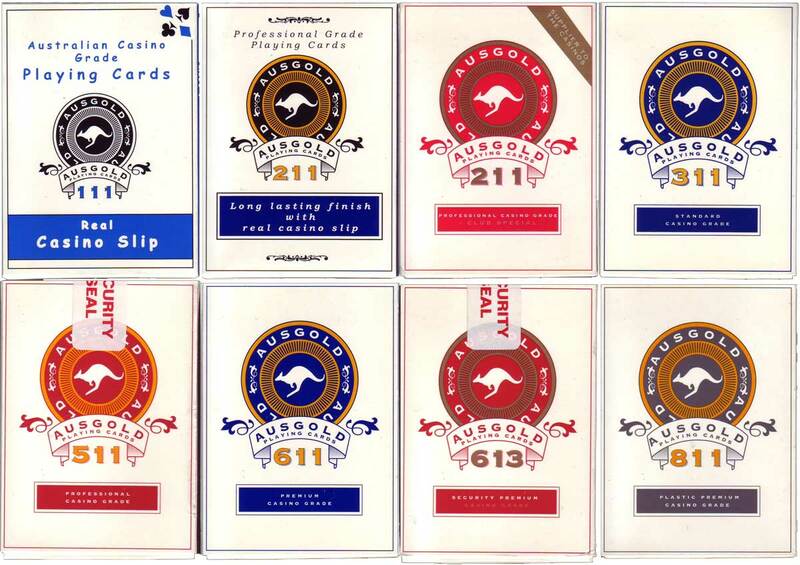 The backs for “Ausgolds” mostly have 2 colours, usually red and blue. 311 and 811 share the same design, with an additional ‘anonymous’ back in the 811. Above: range of “Ausgold” back designs. The ‘base’ Ausgolds were 111 or 211 and sold in newsagents and such places. 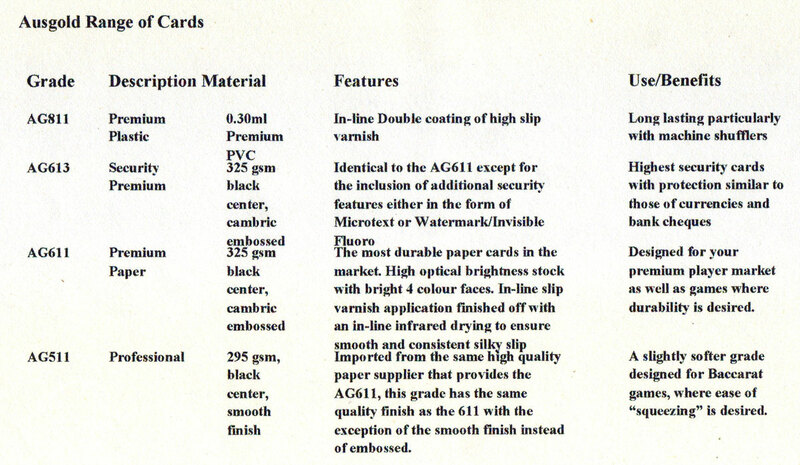 Higher grade cards were mostly for casinos. Images courtesy John Daniels. Above: “Ausgold” boxes. Note in the Ausgolds there is no '4' series; maybe because number 4 is unlucky in some Asian cultures. Above: “Ausgold” jokers. 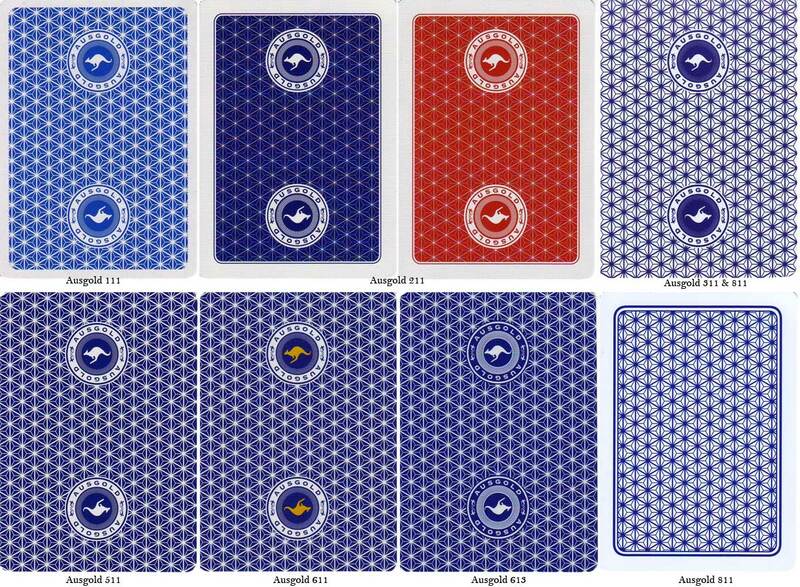 Some are just minor colour changes to the blue colouring, or the corner stars colours. All images courtesy John Daniels.